Stroke recovery: Understanding of molecular and cellular mechanisms in brain repair and secondary neurodegeneration following stroke. Identifying new treatment targets and therapies for stroke. Neurodegeneration: Understanding how environmental factors such as immune activation and chronic stress cause the loss of neurons and serious neurodegenerative disorders, including Alzheimer’s and Parkinson’s disease. Stress biology: Understanding the negative impact of chronic stress. Development and implementation of reliable clinical assessments of chronic stress. The brain works in a fascinating way and I also want to make a significant difference to people’s lives. I have family members and friends who suffer from stroke and neurodegenerative disorders, so investigating how the brain works and how to fix the brain when it fails is a rewarding career with personal significance. There is currently no effective treatment for chronic diseases such as stroke, Alzheimer’s and Parkinson’s disease. My vision is to find a novel, safe treatment that could promote brain recovery and prevent the progression of stroke-induced deficits and neurodegenerative diseases. Dr Lin Kooi Ong is an early-career neuroscientist and medical biochemist. He is a Research Fellow within the NHMRC Centre for Research Excellence in Stroke Recovery and Rehabilitation and the University of Newcastle Priority Research Centre in Stroke and Traumatic Brain Injury. The development of novel interventions for brain plasticity and neural repair. Work from his PhD and first post-doctoral fellow has substantially expanded on the neurobiology of stress and the role of environmental factors on brain development, along with the long-term consequences of inflammation on neurodegeneration. 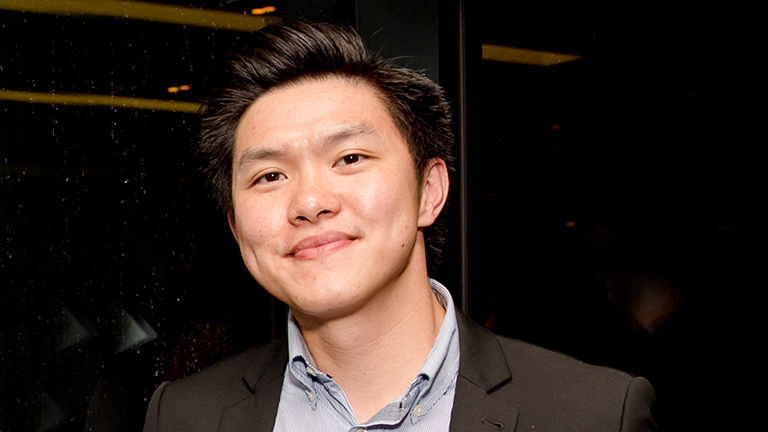 Dr Ong graduated in 2012 with a PhD in Medical Biochemistry from University of Newcastle. He then undertook postdoctoral training to elucidate how immune activation can lead to Parkinson’s disease (funded by HMRI to Associate Professor Phillip Dickson, Emeritus Professor Peter Dunkley). In 2015, he joined the Stroke Recovery, Biomedical Imaging and Stress Biology research group co-directed by Professor Michael Nilsson and Associate Professor Rohan Walker. Dr Ong has published 18 peer reviewed articles, 1 book chapter and 26 conference abstracts since completing PhD in 2012. His H-index is currently 8 and his work has been cited > 170 times. Significantly, seven of his articles were accepted in 2016. Dr Ong has also been the recipient of a number of awards from national and international organisations. In 2015/16, he received research funding from HMRI and John Hunter Hospital Charitable Trust to investigate the negative impact of chronic stress in stroke recovery. He also received full-funded RHD scholarship and Equipment Grant from Research Advantage to support his research studies and professional development. Since 2010, he has received eight travel grants, including a highly competitive award from the International Brain Research Organisation. Dr Ong regularly presents his work internationally and nationally. He is invited as reviewer for internationally peer-reviewed journals (Journal of Neurochemistry; International Journal of Stroke, Brain, Behaviour and Immunity; Clinical and Experimental Pharmacology and Physiology; Neurochemistry International; Journal of Neuroinflammation) and has established several very successful collaborations with colleagues at the national and international. Dr Ong is elected as the Deputy Newcastle Convenor of the Australian Society for Medical Research (ASMR) 2015/16 and Early Career Researcher Representative for the School of Biomedical Science and Pharmacy Research Committee. Since 2009, Dr Ong has over 300 hours of teaching experience in tutorials, practical classes and laboratory demonstrations for Medicine, Biomedical Science, Nutrition and Dietetic, Physiotherapy, Nursing and Occupational Therapy students.